Earn $12.95 in Rewards credit (1295 points) What's This? Improving riding skills and building confidence is easier for young riders when they have bikes that are lightweight, sized correctly, and have good quality components. For 2016, every bike in the Norco Youth line has been completely redesigned from the ground up to encourage a lifetime of cycling passion, fun and safety. 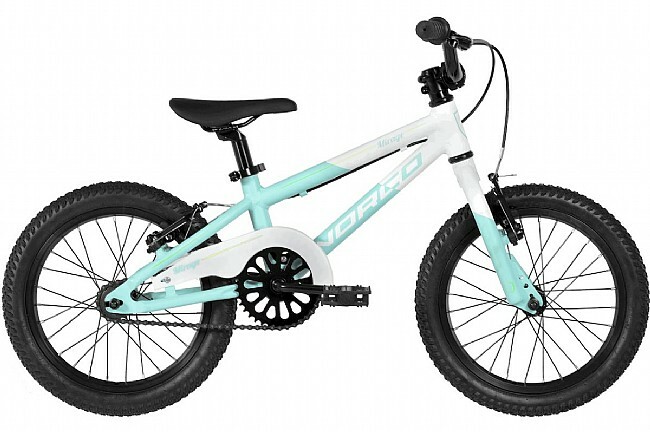 Norco Youth bikes are perfect for encouraging your little ripper to hone their skills and build their confidence before they step up to a full-sized bike. The Norco Mirage is available in one size. *Sizing details and Geometry are available on the Norco's website. Why buy a bike from Western Bikeworks? You'll get automatic enrollment in our Owner's Club with discounts on service labor, discounts on apparel and accessories, free adjustments, and access to special Owner's Club sales for as long as you own the bike! Click here for details.